Friday, September 07, 2018 Nic Butler, Ph.D.
Today’s story begins in the summer of 1744, when the government of South Carolina was shocked by the news that two Native American men of the Notchee tribe had murdered several Catawba Indians in cold blood. Fearing a general Indian war, the government interceded and tried to maintain peace between the tribes while hunting down the murders. This dramatic story has all the elements of a prime-time detective series, but it hasn’t been included in any mainstream histories of early South Carolina. Today we’ll start at the beginning of the story and follow the trail of a forgotten crime that threatened to ignite a blood war on the colonial frontier. At the founding of this colony in the late 1600s, the indigenous population of coastal South Carolina consisted of a more than a dozen small tribes scattered along the seaboard from Cape Fear to the Savannah River. Most of these disparate people spoke a common language, and historians have described them collectively as the Cusabo people. They were generally friendly to the newcomers, but prolonged contact with European settlers, and their imported diseases and vices, caused the Cusabo population to decline steadily in the later years of the seventeenth century and the early years of the eighteenth century. By the time of the Yamasee War of 1715–1717, which was instigated by a tribe that had migrated northward from Florida, the South Carolina militia recruited the small number of remaining “friendly” Cusabo to push the rebellious Yamasee and their allies out of the colony. In the aftermath of that bloody conflict, both the European and Native population of Colleton County and what is now Beaufort County had fled to the relative safety of Charleston and dispersed farther to the north. White settlers slowly returned to the southern counties of South Carolina in the 1720s, and by the 1730s, the wilderness south and west of Charleston was entering a more peaceful era. Extensive land grants awarded by the colonial government drew scores of aspiring planters, and the transformation of natural swamps into landscaped rice fields began in earnest. The provincial government was happy to welcome these “settlement Indians,” as they called them, because they had ample cause to despise His Majesty’s traditional enemy, the French. During the mid-1730s, an unknown number of Notchee or Natchez Indians settled on the fringes of the South Carolina frontier, mostly in the wilds of Colleton County, there being no other tribes in that area to contest their arrival. Around this same time, another small band of refugee Indians began lurking along the frontier about forty or fifty miles inland from the coastline. 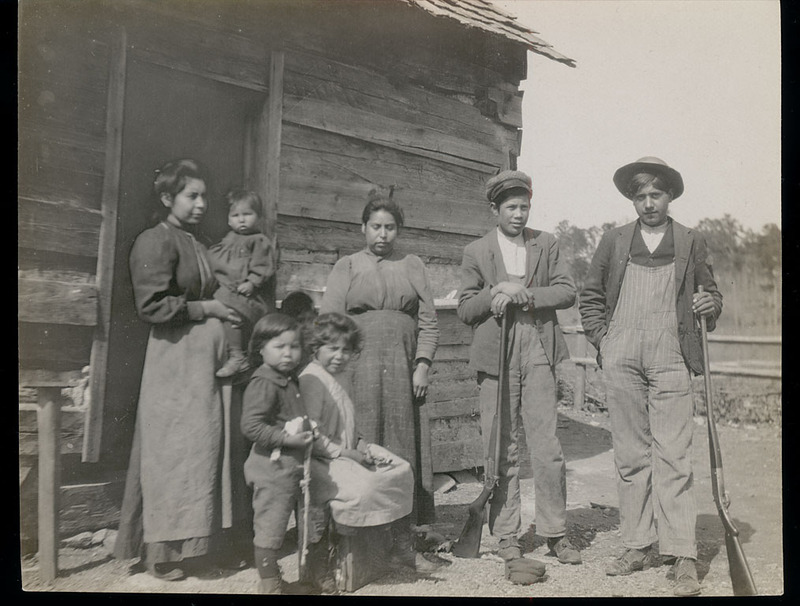 The Pedee (now commonly spelled Pee Dee) tribe were first noticed by early colonists as living in the northeastern corners of South Carolina, but by the 1730s, through some unknown chain of events, they had been greatly reduced in numbers and were looking for a new home. In March 1738, several Notchee Indians came to Charleston to ask permission to settle with a small group of Pee Dee Indians then living near the plantation of James Coachman, in the vicinity of the Four Holes Swamp. Mr. Coachman expressed his willingness to sell one hundred acres of “good corn land” to the provincial government, and Lt. Governor William Bull recommended the legislature accept this offer. Bull believed that “the quiet settlement of those Indians” along the frontier of white colonists would “be of Service to this Province on several Occasions,” both in the present and the future. Accordingly, in late March 1738, the South Carolina provincial government purchased James Coachman’s one hundred acres to create a permanent reservation for the Notchee and Pedee Indians near the swamp known as the Four Holes. Four Holes Swamp is a sprawling wetlands area, filled with ancient cypress and tupelo forests, stretching more than sixty miles across the modern counties of Calhoun, Orangeburg, Berkeley, and Dorchester, where it flows into the upper Edisto River. 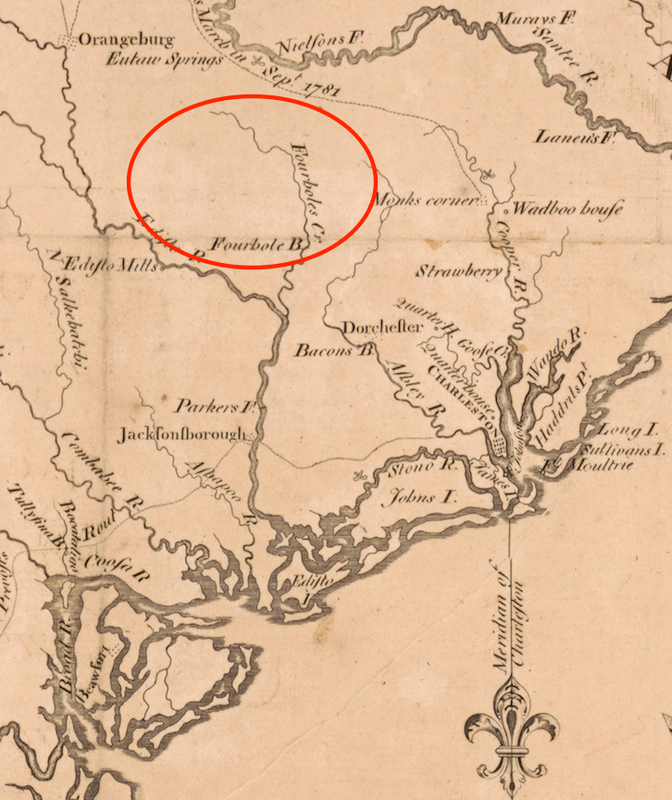 The exact location of the Notchee reservation of 1738 is unclear today, but anyone who’s interested in pursuing that line of inquiry through the voluminous property records of colonial South Carolina is welcome to make a discovery. The 1738 deed of sale includes a small plat of the property in question, but that drawing is devoid of any landmarks that might help us pin down it’s precise location. For the moment, however, let’s place this reservation roughly 35 to 40 miles northwest of Charleston, somewhere south of the Beidler Forest reserve in modern Berkeley County and somewhere north of Givhans Ferry State Park on the Edisto River in modern Dorchester County. The Notchee who settled in South Carolina in the 1730s represented a small branch of what was once a proud and mighty nation, but here they were newcomers without much clout or strength. Thanks to the ravages of the earlier Yamasee War, their arrival did not displace or crowd any other tribe in the relatively vacant neighborhoods of Colleton County or Four Holes Swamp. Farther west and north, however, there were certainly other indigenous peoples in South Carolina, including the great Cherokee and Catawba nations whose traditional homelands were then far beyond the frontier of European settlement during the early decades of colonial South Carolina. As white colonists began spreading farther westward in the early 1730, contact between white settlers and the Cherokee, Catawba, and other inland tribes became more frequent. 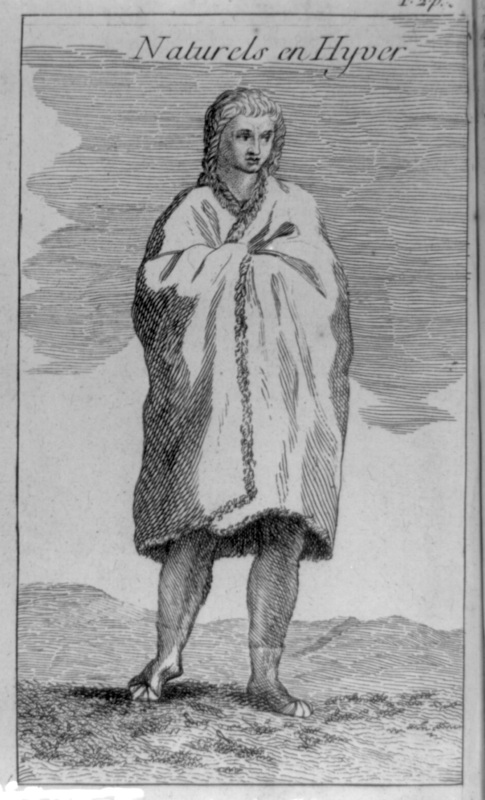 The arrival of the Notchee in the mid-1730s coincided with government’s first concerted efforts to open diplomatic channels of communications with the western tribes. By the early 1740s, the people of Charleston had grown accustomed to seeing Native American delegations arrive from the interior to meet the Royal governor for carefully-staged formal talks. The Catawba people are one of the most significant populations of Native Americans in the history of South Carolina. For centuries, their traditional homelands included a large swath of country around the Catawba River, straddling what is now the border between South and North Carolina. Their periodic southward forays, towards the Lowcountry, apparently brought them into contact with the remnants of the Notchee people around Four Holes Swamp. Both tribes had pledged their loyalty to South Carolina’s colonial government, which sought to protect the young colony from French or Spanish incursion by encouraging a sense of fraternal solidarity between the various Indian nations. Despite these political efforts, some sort of jealousy or conflict developed between the Notchee and the Catawba, or at least a few of their tribesmen, in the early 1740s. The root of this tension has never been identified, to my knowledge, but at least some people living at that time recognized some sort of palpable uneasiness between the small band of refugee Notchee and the powerful, well-established Catawba. Whatever the cause of this malaise, the busy colonial government took no notice until after a violent rupture took place. 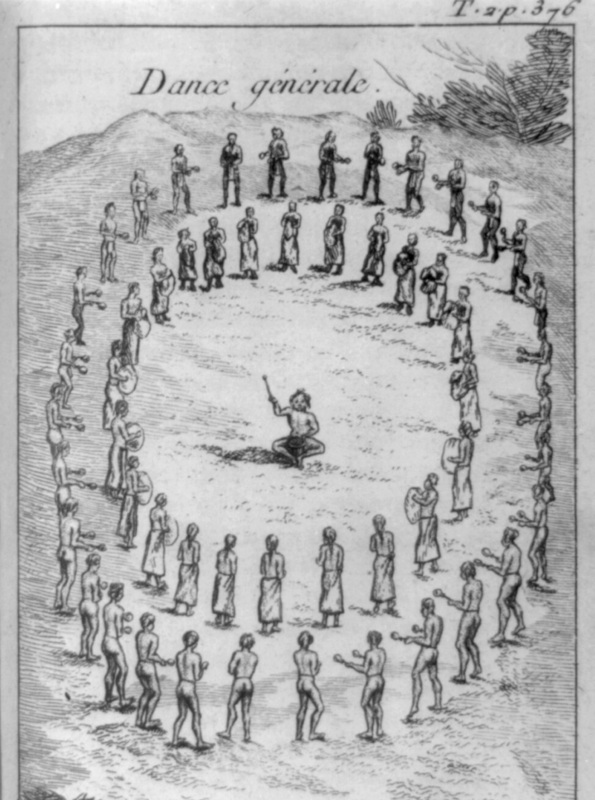 In the summer of 1744, some distinguished members of the Notchee tribe invited the Catawba to come southward to renew their friendship with a small celebration at the Notchee-Pedee reservation near Four Holes Swamp. A Catawba delegation comprised of about a dozen or so men and women arrived on the 16th of 17th of July, and a grand Indian feast ensued. The sale of alcohol to Indians was illegal at that time, but nevertheless a man named William Patten, the proprietor of a trading post in that area, provided a large quantity of rum for the festive occasion. The Notchee men were reputed to be fond of the intoxicating spirits, but on this particular evening they declined to partake, insisting that the Catawba guests should have all they rum they desired. It seemed like a generous, hospitable gesture at the time, but in reality, their abstinence was part of a fiendish plot that was about to unfold. Whatever the motivation, the Notchee men attacked their pretended friends with savage violence during the night. Several Catawba women and two men escaped the carnage and fled to the back to their nation, while the murderers disappeared into the swamp and went into hiding. White settlers in the neighborhood soon heard about the crime, and the veteran Catawba trader, Thomas Brown, immediately sent a letter to Governor James Glen in Charleston. By the 25th of July, four Pedee Indians and Matthew Beard of Goose Creek had arrived in town to brief the governor in person. Governor Glen was a shrewd politician, and, although he had just arrived in South Carolina seven months earlier, he immediately realized that a diplomatic crisis was at hand. Action had to be taken immediately to prevent a full-blown frontier war. King Will said that Glen’s words “made a very great impression upon him,” and agreed that his people should assist the provincial government in its quest for justice. Nevertheless, he remained skeptical about the chances of the governor’s plan succeeding. The two Notchee men who were responsible for the massacre were not just rogue juvenile delinquents or a fringe element of the tribe. Rather, they “considerable men” within the Notchee band, whose families would likely “think it their duty to kill” anyone who attempted to bring the two men to justice. By the end of their week-long conference in late August 1744, however, the Notchee king assured Governor Glen that he would “do everything in his power” to ensure that his people followed the new path of justice outlined by the governor. As the autumn of 1744 settled over the Lowcountry, the temporary truce negotiated by Governor James Glen receded into the background of the white people’s consciousness. Britain and its colonies were then at war with their Spanish neighbors, and a diplomatic rupture with France was about to broaden the conflict into a veritable world war. Closer to home, the annual rice harvest commenced across the coastal settlements of South Carolina, and most of the colony carried on as if oblivious to the possibility of a local Indian war. In the deep background of this landscape, however, the Notchee people maintained a vigilant lookout for the two rogue warriors who had sullied their good name. As winter arrived, the murderers emerged from hiding and cautiously attempted to rejoin their tribal band at a campsite near the headwaters of the Ashepoo River in Colleton County. Governor Glen had personally promised the Catawba justice, but in reality, he expected the Notchee to deliver up their own tribesmen. With the honor and survival of his people at stake, the Notchee king decided to take matters into his own hands. He devised a plot to ensnare “the two Toms,” as he called them, and to deliver their severed heads to the governor of South Carolina. Michael James Foret, “Natchez,” and “Natchez War (1729–1733),” in Alan Gallay, ed., Colonial Wars of North America 1512–1763: An Encyclopedia (New York: Garland, 1996), 471–74. South-Carolina Gazette, 7–14 July 1733; South-Carolina Gazette, 20–27 April 1734. The Creek Indians were on their way to England on a diplomatic mission with James Oglethorpe. For more information on that trip, see Julie Anne Sweet, “Tomochichi’s Trip to England,” Georgia Historical Quarterly 86 (Fall 2002): 339–71. Although many modern writers use the singular form “Four Hole Swamp,” the name appears in a plural form (“Four Holes”) in most colonial-era documents, and I have opted to follow that historical spelling. For the request of the Notchee, see J. H. Easterby, ed., The Journal of the Commons House of Assembly, November 10, 1736–June 7, 1739 (Columbia: State Commercial Printing Company for the Historical Commission of South Carolina, 1951), 564–65 (25 March 1738); for the conveyance of the land, see Charleston County Register of Deeds, Book S: 190–91, 27–28 March 1738: James Coachman, planter of Berkeley County, to Gabriel Manigault, Public Treasurer of South Carolina, lease and release in trust. For £100 currency Coachman sold 100 acres in what was then Berkeley County to be held in the public trust for the Notchee and Pedee Indians who have made application to the government for a small piece of land. The lease describes this land as “all that piece of parcell [sic] of land containing one hundred acres situate lying and being in Berkeley County aforesaid butting and bounding to the northwestward on the widow Elizabeth Moore’s land, and on vacant land to the north eastward on land laid out and on all other sides on lands of the said James Coachman. James Glen to the Board of Trade, dated “December 1751,” transcribed in Records in the British Public Record Office Relating to South Carolina, volume 24, pp. 410–11. SCDAH, Journal of His Majesty’s Council for South Carolina, No. 11 (1744), pp. 423–28, 489. This material is also noticed in Alexander Gregg, History of the Old Cheraws (New York: Richardson & Co, 1867), 10–11. The quotations concerning the governor’s conference with the Notchee king are taken from James Glen’s summary of this episode is included in a letter to the Board of Trade, dated December 1751, Records in the British Public Record Office Relating to South Carolina, volume 24, pp. 409–13.